Astronaut Nick Hague will take McClain's place, and join Koch replacing batteries on the space station's solar arrays. 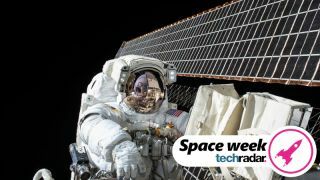 It might seem like a strange oversight, but as Space.com explains, fitting for spacesuits can be tricky due to the effects of microgravity. Astronauts' spines aren't compressed as they would be on Earth, which means they essentially become taller after some time in space. It's not clear whether this was the reason for the lack of suitable equipment on the ISS, but this month McCain tweeted that she is now two inches taller than when she left Earth in December.